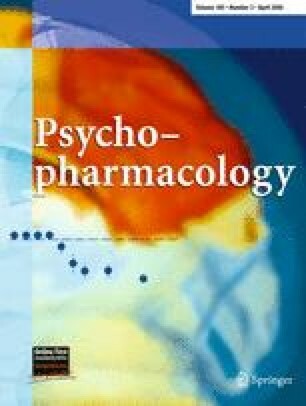 Psychotropic medication affects cognition and brain function, making it a potential confounder in functional neuroimaging studies of psychiatric patients. To determine whether the sub-acute administration of an antidepressant (escitalopram) would induce differences in cognitive performance and associated brain function, which could be observed within the normal power of a functional imaging study. Healthy adults (N=10) received a short course of escitalopram (10 mg/day for 7 days). Participants performed a parametric working memory (WM) task during BOLD fMRI, both while medication-free and after medication. To control for order effects, the medication-free examination was completed by half the subjects before starting medication and by the other half at least one week after medication. Escitalopram had no significant effect on WM accuracy or reaction time. Preliminary analysis of the imaging data revealed no significant (p corrected<0.05) differences in memory-load-dependent activation between conditions. However, small volume correction analysis of regions that were significant prior to correction for multiple comparisons highlighted between condition differences in regions likely to be susceptible to antidepressant effects (i.e. thalamus, anterior cingulate and inferior frontal gyrus). These results suggest that the sub-acute administration of antidepressants in healthy controls does not affect cognitive or hemodynamic function in healthy adults to a magnitude greater than one standard deviation unit. Therefore, the confounding effect of antidepressants on signal intensity in imaging studies of medicated, depressed individuals may be limited. This work was funded in part by a research studentship from the Medical Research Council (EJR), by a SHEFC Research Development Grant (KPE) and funds from the Gordon Small Charitable Trust (KPE). None of the authors declares an interest that may bias the results presented.